Maxene Magalona’s boyfriend Robby Mananquil made their recent Valentine’s Day extra special by proposing to her while they were on vacation in Japan. 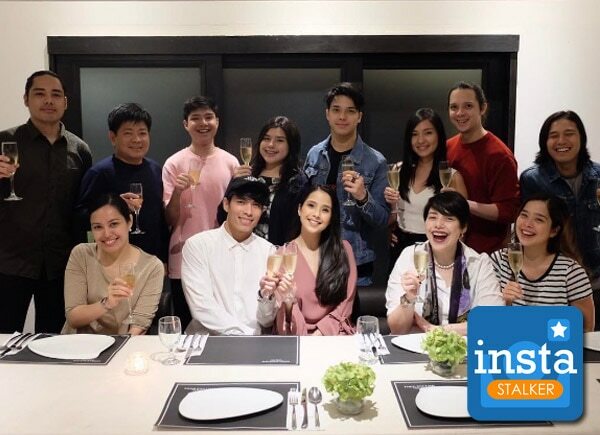 The happy couple then celebrated their engagement with the Magalona family last February 26 at Todd English Food Hall, a celebrity chef restaurant. “Rob and I really wanted to hold our dinner at Todd English Food Hall because we knew we had to have their famous OMG Cake given that the proposal was definitely an OMG moment!” the actress explained in one of her Instagram posts. Finally got to celebrate our engagement with my family! ???? Just seeing my family happy for us is already such an incredible blessing. ? Cheers to many more gatherings filled with laughter and fun! ???? Rob and I really wanted to hold our dinner at Todd English Food Hall because we knew we had to have their famous OMG Cake given that the proposal was definitely an OMG moment! ? If you haven't tried this yet, YOU SHOULD. You're missing half of your life! Special occasions call for special decadent chocolate desserts and this is definitely one of the BEST in Manila. ?????????????? Congratulatory Dinner with the family for the newly engaged couple ? ?